Make an easy turkey breast for the holidays in your slow cooker using your two favorite ingredients—bacon and Hidden Valley® Original Ranch®! 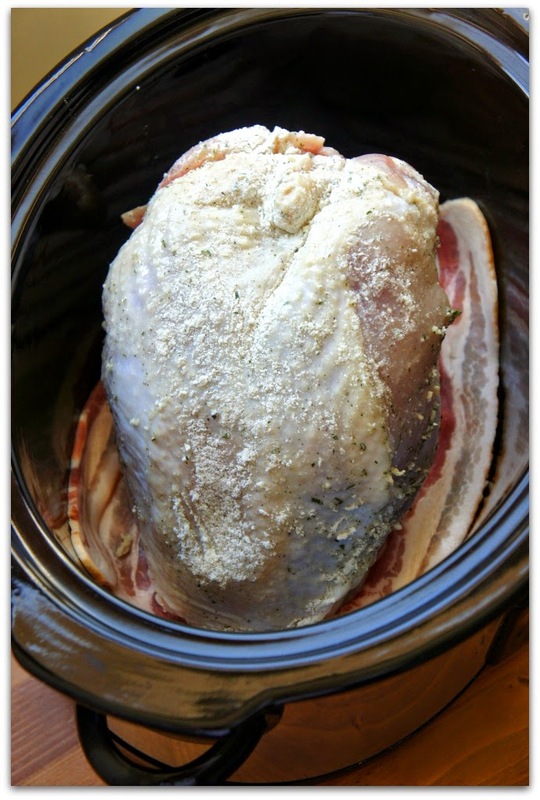 Have you ever made a turkey breast in the slow cooker? It seriously couldn’t be easier. Best of all, it frees up your oven space for other important business that happens on Thanksgiving or Christmas! If you’re cooking for a small amount of people but still want to eat turkey for your holiday dinner, a turkey breast is the perfect size. It tastes great and there won’t be a load of leftovers. 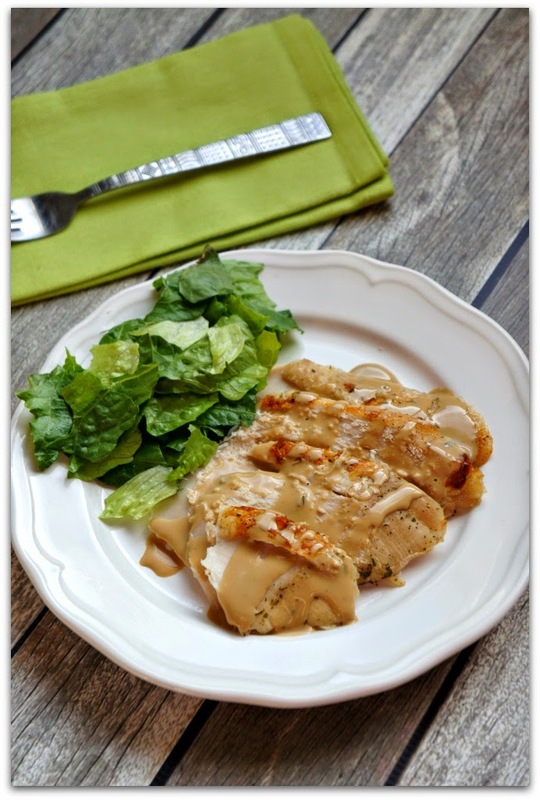 I’ve made turkey breast in the slow cooker many times, but this time I wanted to make it with a little twist that I knew would be a hit with my kids: adding bacon and Hidden Valley® Original Ranch® to the mix. This is all you need to make your holiday turkey this year! I line the bottom of my slow cooker with bacon to give the turkey a nice smoky flavor. When the turkey is done cooking I simply discard the bacon. It just flavors the turkey really nicely. I start with six slices of bacon on the bottom of the slow cooker, the place six slices over the top of the turkey for even more flavor! Lining your slow cooker with bacon gives the turkey a nice, smoky flavor. I sprinkle the turkey breast with half of a 1-ounce packet of Hidden Valley® Original Ranch® Salad Dressing and Seasoning Mix and give it a good rub. I love keeping these packets in my pantry; they come in handy for making dressing and dips, seasoning meats, making Ranch-y potato wedges or mashed potatoes… the options are endless. Stockpile Hidden Valley® Original Ranch® Salad Dressing and Seasoning Mix for all your holiday cooking—it’s perfect for last-minute flavor additions to…anything. And that’s pretty much it…how easy is that? I just cover the slow cooker and let it cook on low for several hours. This frees up my oven space and my hands to prepare other dishes. When the turkey is done cooking (it needs to reach an internal temperature of 165° F) I like to crisp up the turkey skin under the broiler of the oven for a couple of minutes. 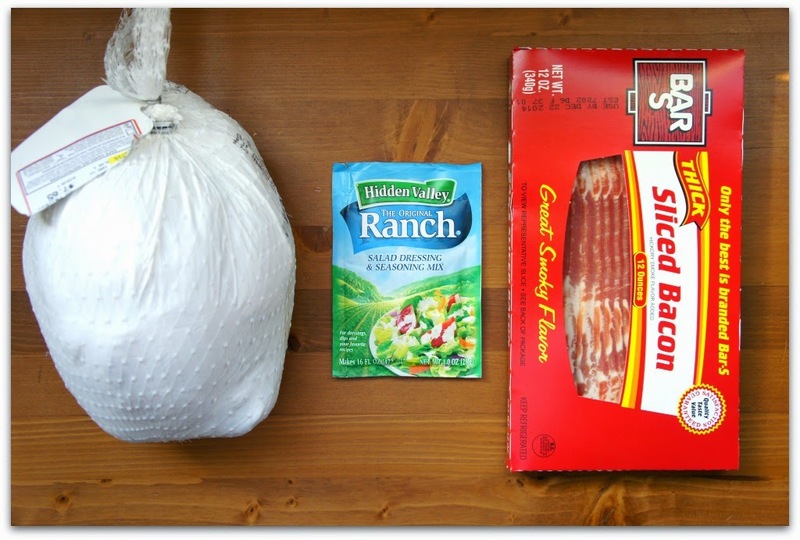 The ranch seasoning is a perfect twist to the bacon-y turkey breast. It’s so moist, tender,and well-flavored. If you like crispy skin, stick the turkey under the broiler for a couple of minutes and then serve. 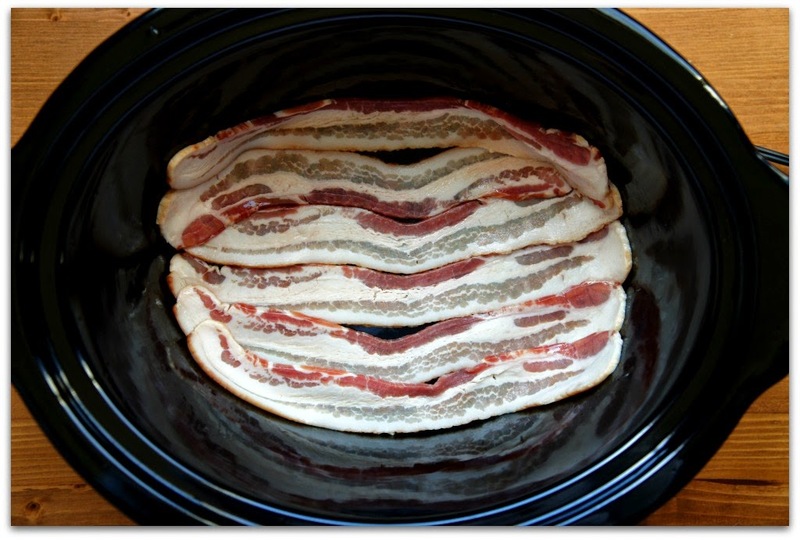 Step 1: Line the bottom of a large (6-8 quart) slow cooker with 6 slices of bacon. Step 2: Pat turkey dry. 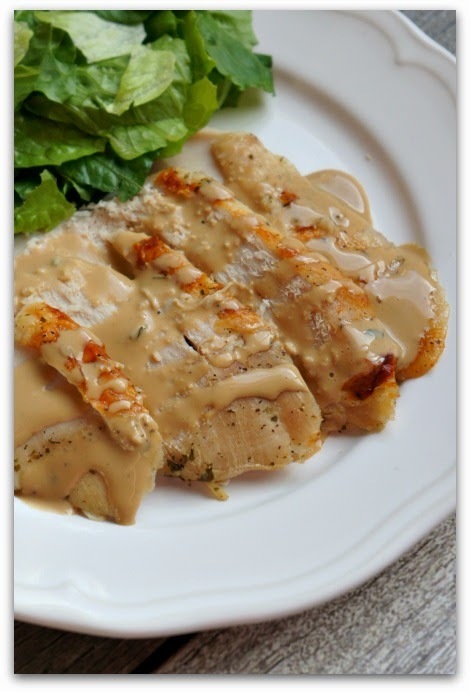 Sprinkle 1/2 of a 1-ounce packet of Hidden Valley® Original Ranch® Salad Dressing and Seasoning Mix over the turkey. Rub the seasoning in a little. Step 3: Place turkey on top of bacon. Step 4: Place 6 more pieces of bacon on top of the turkey. Step 5: Cover slow cooker and cook on LOW for about 6 hours, or until internal temperature of turkey reaches 165° F.
Step 6: Remove bacon and discard. 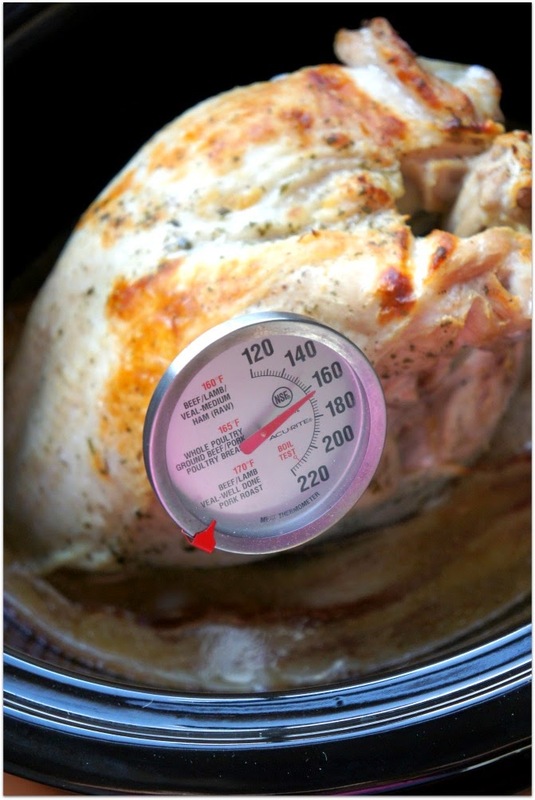 If you want crispy skin, place turkey under oven broiler for about 2 minutes. Remove from oven, tent the turkey with foil and let it rest for 10 minutes. 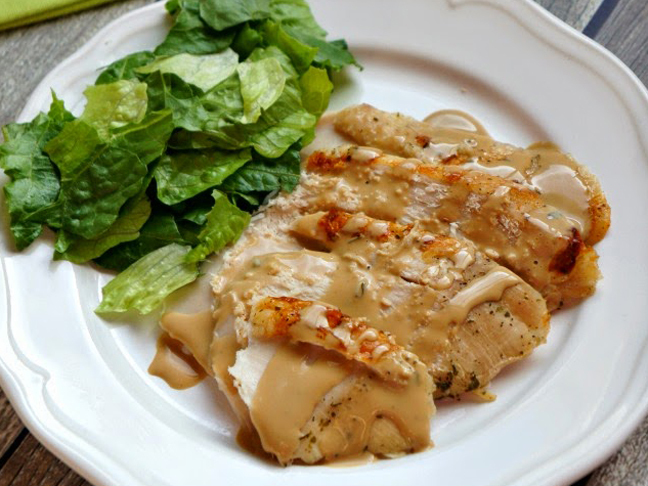 If you desire, you can use juices from turkey to make gravy while the turkey is resting. Slice and serve.